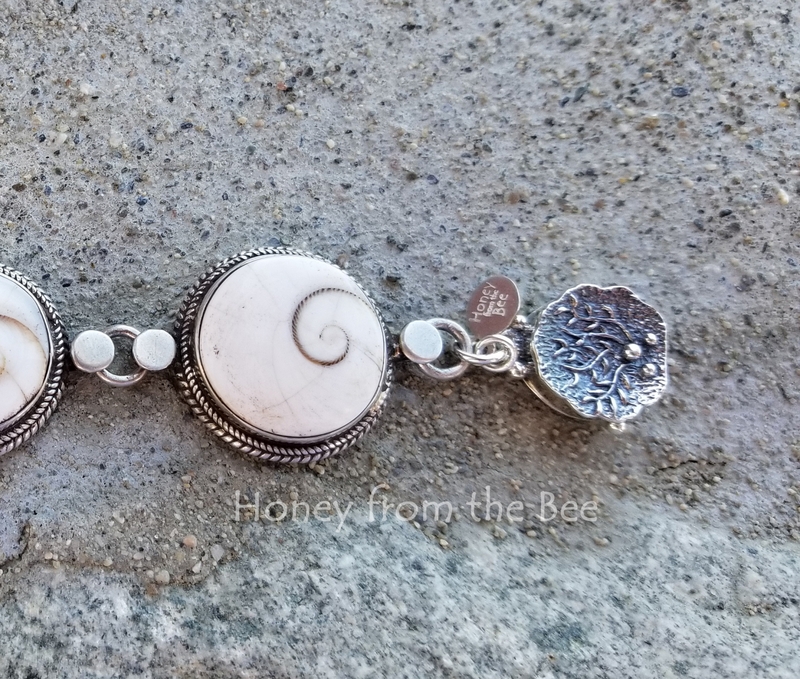 I've been waiting to either learn how to make a box clasp or to find the perfect box clasp to complete this artisan silver bracelet for a number of years. I saw this seaweed decorated one online and knew it was the one! 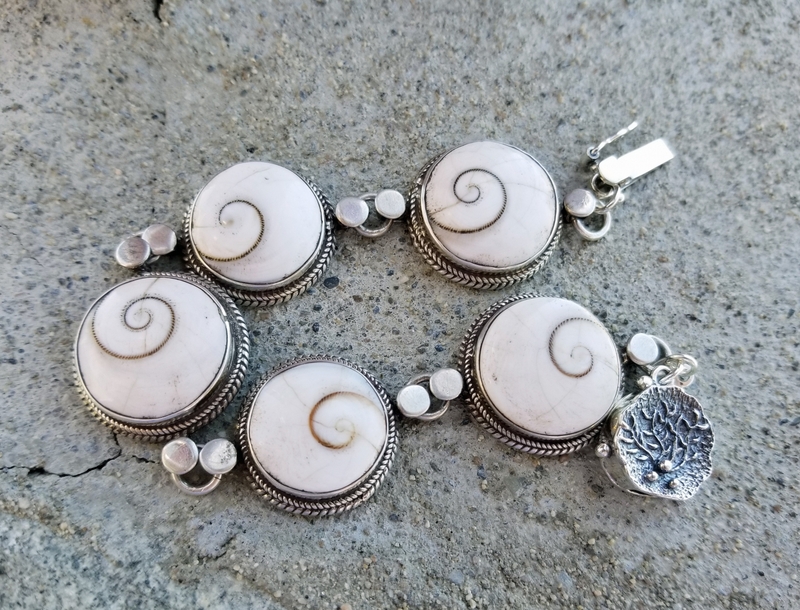 I just love the Shiva shell spirals and the weight of this piece. "Across the gem-rich countries of India, Tibet and Sri Lanka, many Hindus worship the god Shiva. Many pictures of Shiva show a third eye in the middle of the god’s forehead and it is from this that the gem’s name is derived." 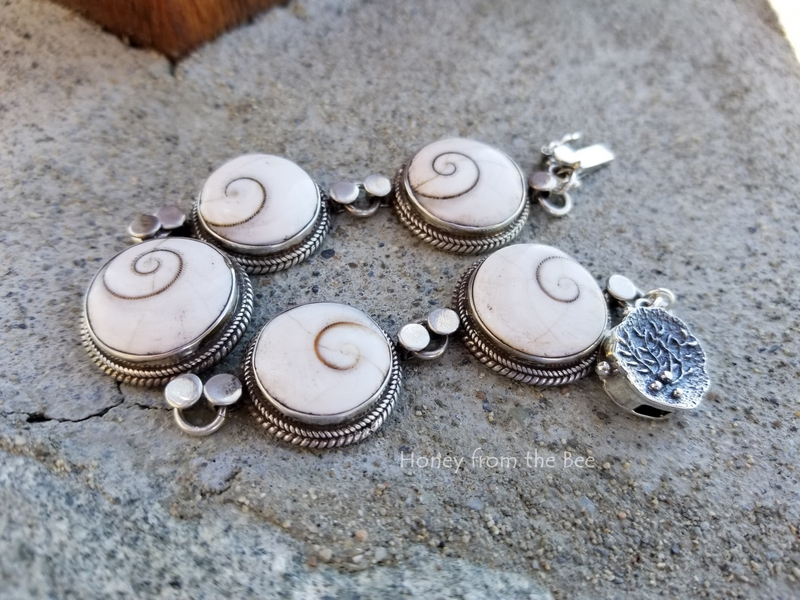 Spirals come up in many ancient cultures, Celtic being an example. They are tied to concepts like consciousness, life and re-birth, evolution, as well as enlightenment. I love the form. Sterling Silver box clasp with safety catch.